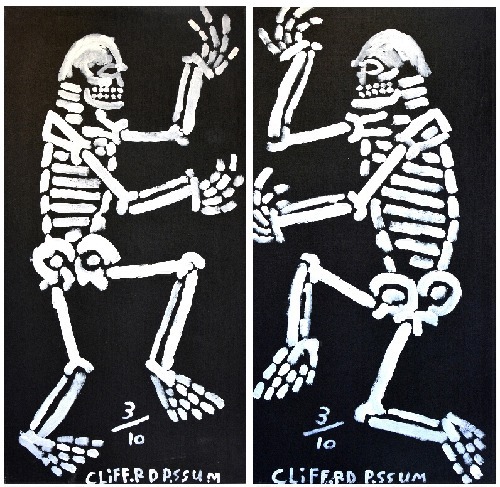 Many are works by well-known and collectible Indigenous artists – others are simply great artworks at a great price. If you are interested in any of the art we have on sale, please indicate your interest quickly by telephone or email to ensure you don’t miss out. All paintings come with certificates of authenticity. Where available, photographs of the artist creating the work and of the artist with the completed work will also be provided. 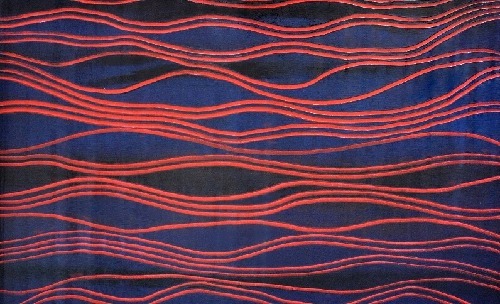 The gallery also offers a lay-by system, as well as an interest free repayment option through Art Money which allows you to take your artwork home right away. Size: H-148 x W-195 cm. "Awelye and Bush Melon - BMBG0654"
"mina Mina Jukurrpa (Mina Mina Dreaming) - Ngalyipi - PGAWU1046/16ny"
"Mina Mina Dreaming - MLNG0181"
"Tjintjintjin - My Mother's Country - LONG0018"
Size: H-110 x W-180 cm. 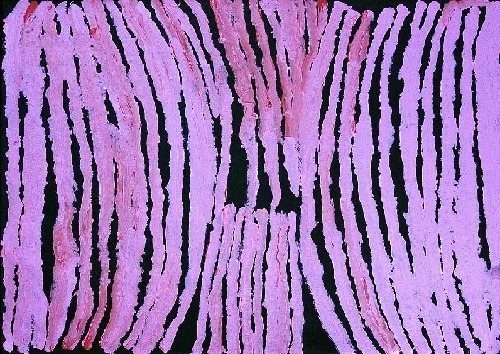 "Night Time Cruise... Marks in the Sand - RNAO0552"
"Yanjirlpirri or Napaljarri-Warnu Jukurrpa (Star or Seven Sisters Dreaming) - ATGWU5878/18"
Size: H-59 x W-120 cm. Size: H-178 x W-120 cm. 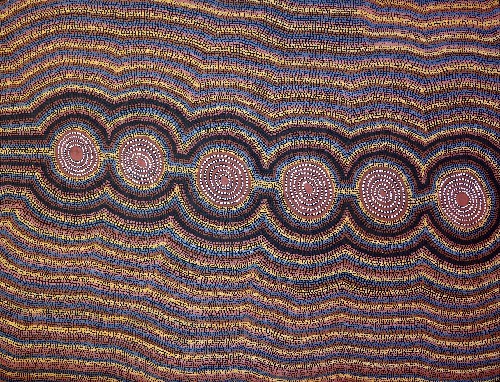 "Uwalki Watiya Tjuta - MITG0005"
Size: H-89 x W-120 cm. Size: H-25 x W-25 cm. 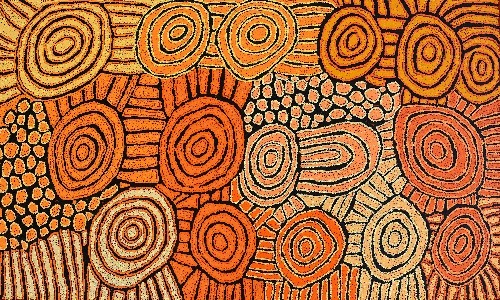 "Tjintjintjin - My Mothers Country - DYNG0022"